Our specifically designed, state of the art safety equipment and experienced personnel make site safety our only business . 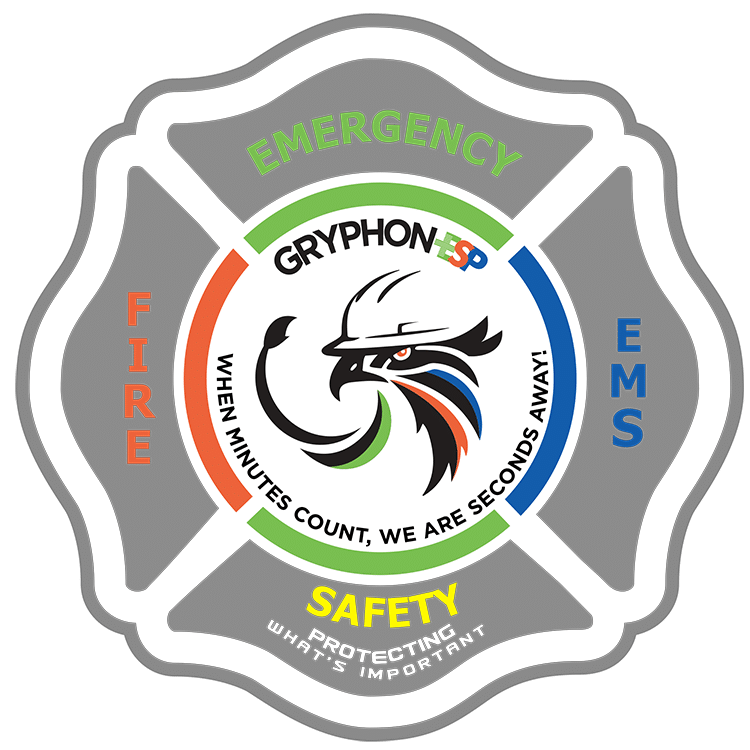 Our mission at GryphonESP is to provide immediate experienced medical first responders & firefighters at remote locations, providing a safety net of initial measures to save lives and property until local support arrives. In addition, we provide ongoing site safety, education and monitoring 24/7. Our specifically designed, state of the art safety equipment and experienced personnel make site safety our only business enabling your company to operate with improved loss prevention, lower insurance costs and an enhanced safety profile. We help your company take site safety to a new level. Having GryphonESP on-site could save your employees from serious injuries or loss of life. We not only respond in case of emergency but we also have training programs that make your personnel aware of the inherent risks and how to avoid them along with OSHA and HAZMAT compliance programs. Aid in saving life by administering CPR/defibrillation and co-ordination with local ambulatory/life flight transportation. Limit loss of time, production, and money by keeping workers focused on their job. Reduce long term effects of traumatic injuries sustained on the job by immediately providing proper first aid after an accident. Apply proven safety measures, on-going education and monitoring programs resulting in an improved safety record. Minimize loss of vehicles, structures and equipment from fire or explosion with appropriate firefighting equipment and trained personnel. GryphonESP also provides experienced safety consultants for your field and office needs. Our consultants have years of experience in both upstream and downstream operations. Importantly, GryphonESP’s seasoned professionals teach safety principles and are not simply “safety cops” on location. Our compliance specialists coach vendors and employees in safe work practices and audit progress for continual improvement in an effort to help reduce record-able accidents. We are always looking for more people to proudly wear our colors. You can’t go wrong with a job at GryphonESP. Join our workforce today by submitting your information in our online form. We will reach out to learn more about you.